Which Caribbean islands do you visit for luxury vacations? St. Barts? Definitely. Barbados? It’s one of your favorites. Anguilla? Of course. Grenada? You’ve never even considered it. Life hasn’t always been easy on the Spice Island. The French annihilated the native Carib population when they purchased it from Martinique in the 17th century. The Treaty of Paris handed the island over to the British in 1783. It took nearly 200 years for Grenada to then gain its independence. Only a few years later, the United States invaded the young nation to prevent the spread of communism. Tourism, paused many times by hurricanes, then spread slowly. 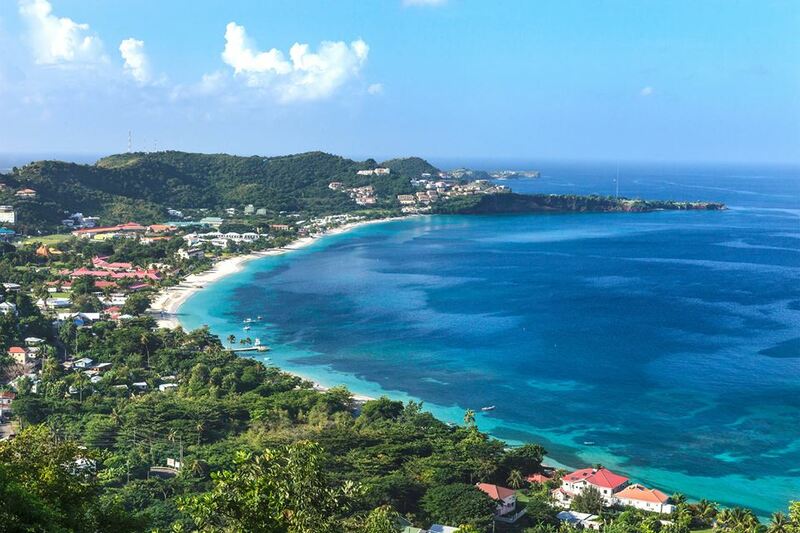 But luxury resorts kept overlooking Grenada. That’s changing right now. There’s a new resort nearing completion. Silversands is only months, if not weeks, from opening. (The date was pushed due to last year’s very active hurricane season.) 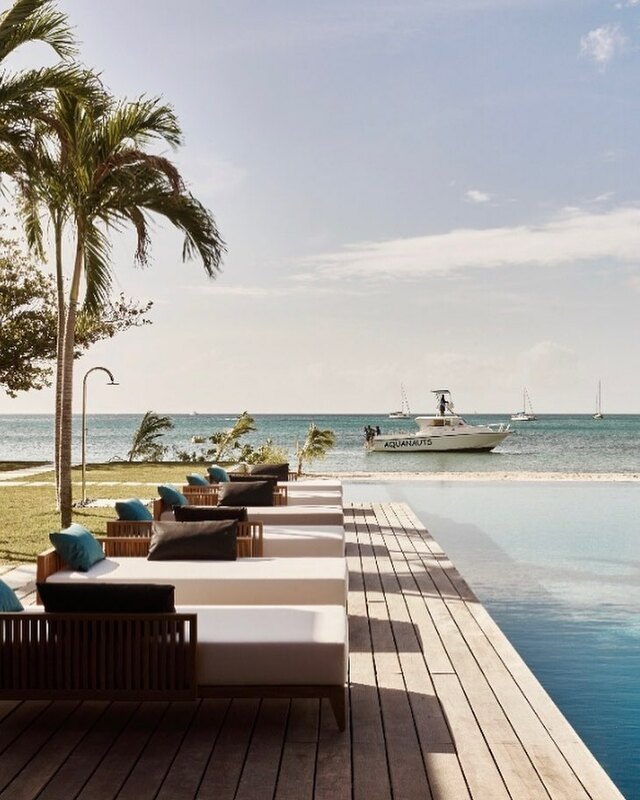 The highly anticipated property, which features both a hotel and private villas, lies just south of St. George’s, the little capital on the southwest coast. Forty-three suites are steps from Grand Anse. The two-mile stretch of sand is the most famous beach on the island. The design resort is pure luxury. It’s the dream of an Egyptian telecommunications mogul, who fell in love with the island. His vision was brought to life by a Parisian design firm. They created relaxing, open spaces full of blonde wood and light marble. There are king-size beds, low seating areas, and deep soaking tubs in the suites. Pale gray furniture, black sculptures, and burnt orange accent pillows are the only hints of color in them. The focus is clearly on the view. As it should be. That view—of the white sand, the turquoise water, and bobbing sailboats—can be seen all over the resort. The 100-meter infinity pool, possibly the longest in the Caribbean, runs to the edge of the sand. Chaise lounges line the wooden deck on either side. Plus the nearby bar features rum and cigars. There are two restaurants: a casual beach club and a chic Thai spot. While the Silversands Spa will offer a hammam, a sauna, and treatments that use the island’s famous spices. Are you finally ready to book a trip to Grenada?